- Jury was the opening film of the 2012 Asiana International Short Film Festival. What made you take part in the event? Director ZHANG Lu wrote the draft of Jury and director YOON Seong-ho dramatized it. Director ZHANG told me that he would write a scenario based on the judging process of the Asiana International Short Film Festival several years ago when a conflict of opinions among judges occurred. 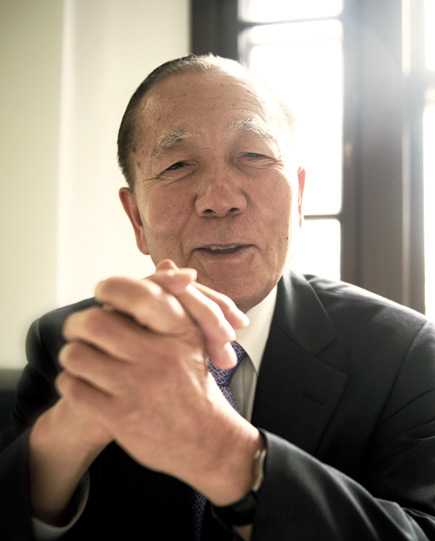 ZHANG suggested to AHN Sung-ki, chairman of the Asiana International Short Film Festival, that they give the directing reigns to me, a former chairman of the Organizing Committee for the Busan International Film Festival. I reached the conclusion that I was able to do that as I have rich experiences in the film judging process. - I heard that Director ZHANG sent you two scenarios. I think that Director ZHANG thought that the film should be more quality-oriented as it would be my first directorial work. ZHANG told me that in addition to Jury, he wrote another scenario which was complicated and difficult to understand. But the Organizing Committee of the Asiana International Short Film Festival said that it was difficult to use the scenario after reading it. Finally, we chose Jury and made several changes in the version that Director YOON dramatized. - It is said that you did not seem nervous at all. - What do you want from audiences of the Berlin International Festival? I would be happy to hear “I enjoyed your movie,” from them. Another wish is to let them know that the judging process at film festivals requires a lot of discussions and fair agreements. I already sent screener DVDs to some friends of mine who I met at overseas film festivals. They told me that they had fun watching the movie. I hope that audiences at the Berlin International Festival will give my film good reviews. - What is your next directing plan? There is one project from Director Mohsen Makhmalbaf who wants to make a documentary about me. Director Makhmalbaf advised me to direct two more short films before directing a feature film. His advice was to make a trilogy about film festivals such as ‘Audience’and ‘Volunteer’ as I made my directorial debut with Jury. I think that if I direct films about the audiences and staff of film festivals, they would be very interesting projects. I would like to give it a shot.